Fest-o-Berry is all things Strawberry! Eat, drink, dance and bond with Strawberry lovers from all over the city. The 2-day festival will witness a plethora of activities from Squashing Strawberries, live Jam making sessions, dance performances to fastest strawberry eating competition and many fun activities. Follow the journey of fresh strawberries, straight from the farms of Mahabaleshwar, into delicious strawberry milkshakes, strawberry ice creams, strawberry juices, strawberry cream, strawberry jam and much more. 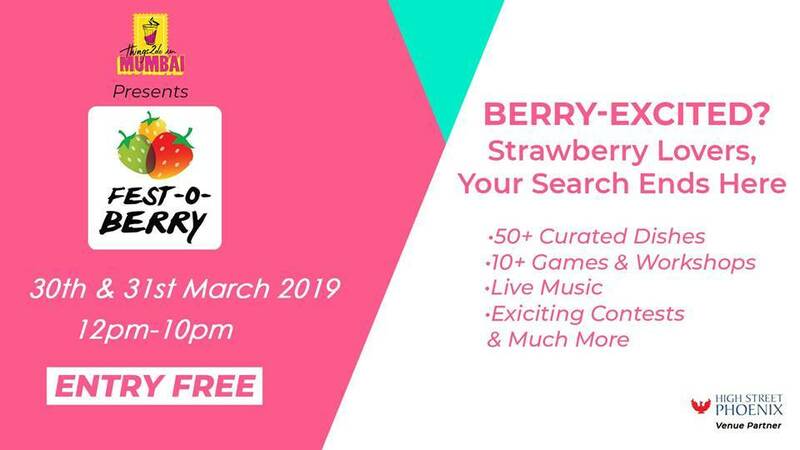 Bring your wit and charm along for the fastest strawberry eating competition and other interactive workshops as you let your love for strawberries soar! Berry-excited? Join Fest-o-Berry for unlimited fun!